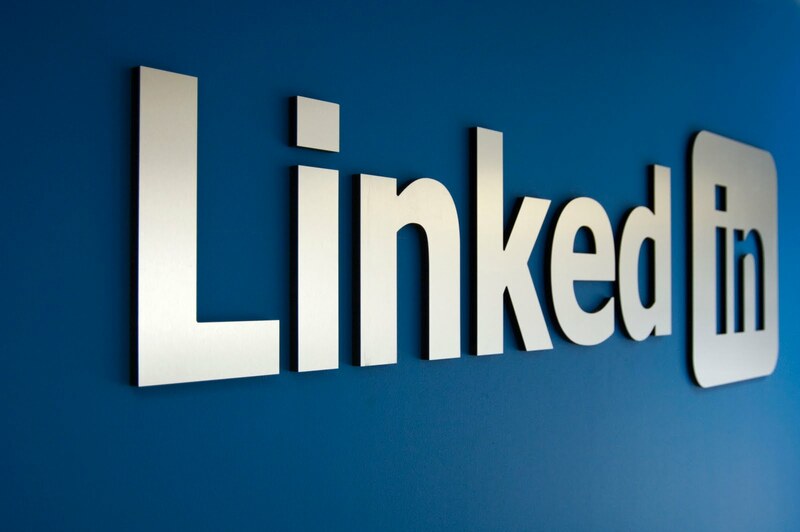 The most common question on clusters is do I need shared storage ? Yes you do oh such a huge cost eh are you using windows server 2012 R2 no not yet. 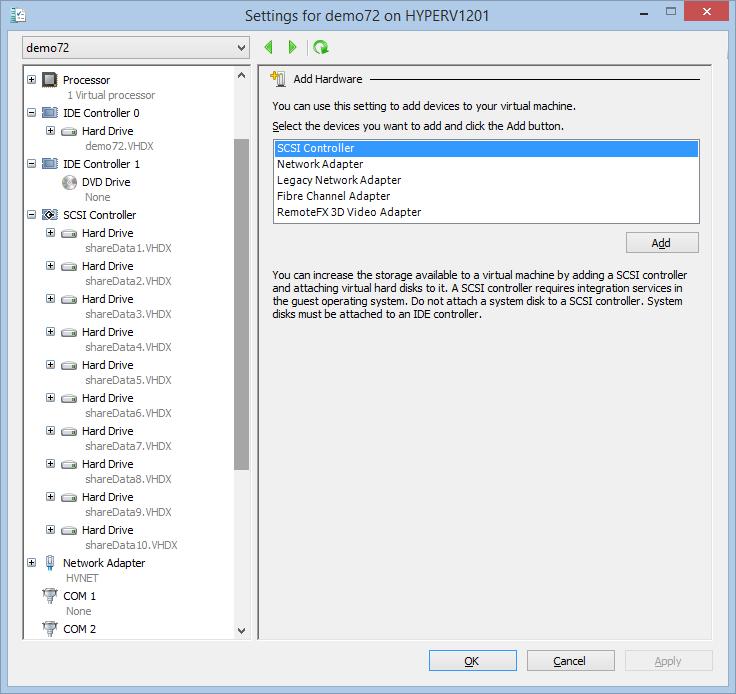 Hyper-V V3.0 ( windows server 2012 R2 )makes it possible to share a virtual hard disk file between multiple virtual machines. 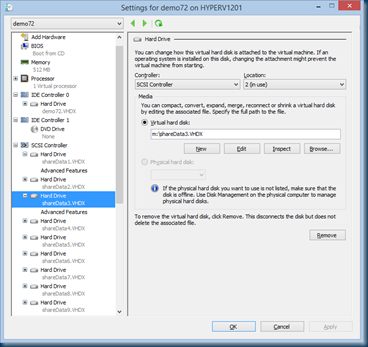 Sharing a virtual hard disk file (.vhdx) provides the shared storage that is necessary for a Hyper-V guest failover cluster. Sharing a virtual hard disk file (.vhdx) means that you can create and manage a guest failover cluster to protect the application services running inside your virtual machines. 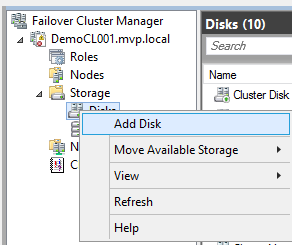 Before Windows Server 2012 R2, if you wanted to create a Hyper-V guest failover cluster, you needed to expose your storage topology to the virtual machine. 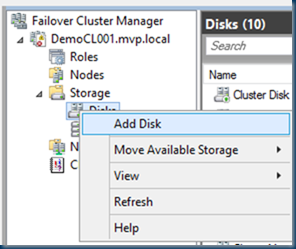 Starting in Windows Server 2012 R2, you can deploy a Hyper-V guest failover cluster that is no longer bound to your storage topology. You can implement a guest failover cluster by using a shared virtual hard disk, Fibre Channel, Server Message Block (SMB), Storage Spaces, or ISCSI storage options. 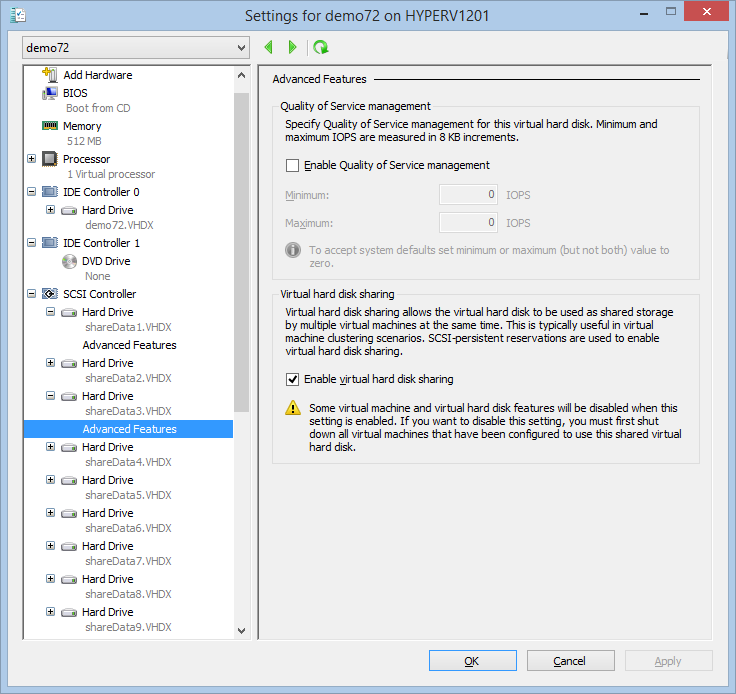 Shared virtual hard disks are only available in Windows Server 2012 R2. 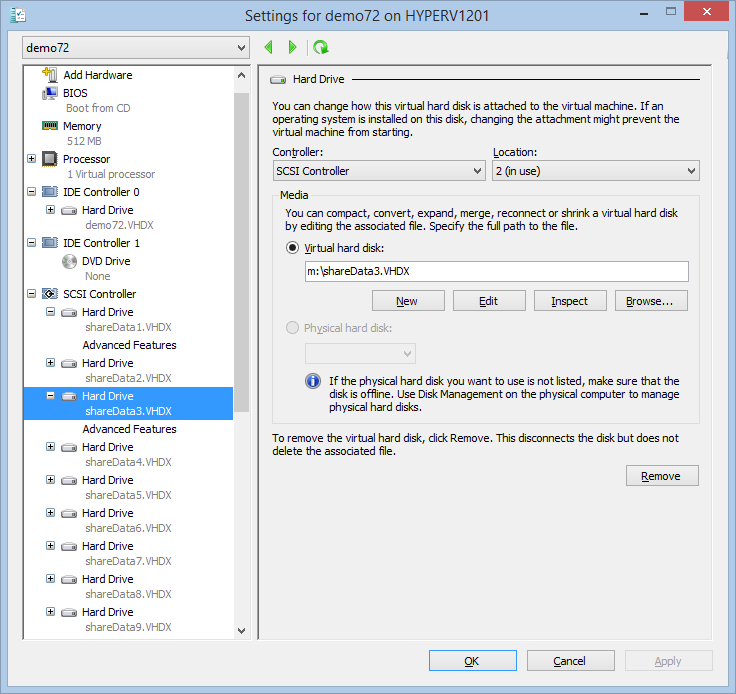 Hyper-V makes it possible to share a virtual hard disk file between multiple virtual machines. Sharing a virtual hard disk file (.vhdx) provides the shared storage that is necessary for a Hyper-V guest failover cluster. File server services running within a virtual machine. Database files that reside on shared disks. 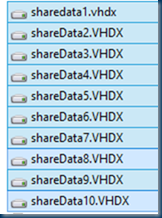 In this scenario I have a 64 node Cluster based on Shared VHDX. Let me show you how you should start. This is Cool in a few seconds several disks. yes but what now well If you have a cluster already then you can add the disk to the VM and use them if not you can create a cluster. 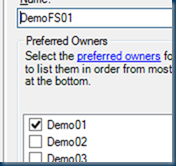 But you can also share a disk in the GUI and the best part is it can be done live. As you can see several steps are needed to do this. 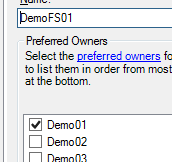 just with one line in PowerShell it is done. 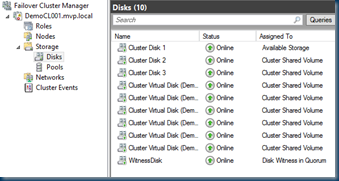 Now that We added the Disks We can use the disks. Now that the disks are in place We can create a a sample File server that is using this disk. So the first nine servers are file servers. but keep in mind if you do this you have to adjust the ownership, creating a file server every node will own this and if not all the nodes have the FS role installed you will get in trouble ! 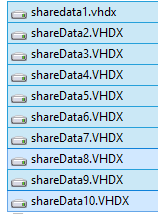 Now we have a File server on a shared VHDX isn’t that cool.